retirement assets. Click here to learn more. This Quotation is designed to help you understand the proposed policy. It demonstrates how benefits and premiums are affected by different assumptions. This Quotation does not include riders. Premiums are shown only for the period for which they are guaranteed to be level. All premiums quoted are guaranteed for the underwriting class shown on the Quotation. The premium rates will ultimately depend on the outcome of the underwriting process and may vary significantly from what is shown on this Quotation. Select-a-Term premium rates are current as of February 18th, 2019. Premiums for other rate classes, ages and payment plans are available. Premium charges will depend on each applicant’s evidence of insurability. Premiums increase at the end of the level term period if the policy is renewed. Death benefit remains level and is payable in lump sum, or installments, if so elected. The insurance company may contest the policy for two years from date of policy issue for material misstatements or omissions on the application. Death benefit is payable from any cause, except suicide within first two policy years. In the event of suicide in the first two years, policy is limited to return of premium paid. Select-a-Term Policy Form Number ICC16-16901 or 16901 . 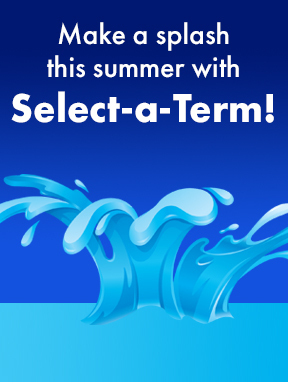 American General Life Insurance Company is the sole issuer of Select-a-Term Policies. The underwriting risks, financial and contractual obligations, and support functions associated with the products issued by American General Life Insurance Company (AGL) are its responsibility. Guarantees are subject to the claims-paying ability of the issuing insurance company. AGL is a member of American International Group Inc., (AIG). AIG does not underwrite any policy described herein. American General Life does not solicit business in the state of New York. Policies and Riders are not available in all states. Important: Prior to soliciting business, be certain that you are properly licensed and appointed with the insurer and that the product has been approved for sale by the insurer in that state. If uncertain, contact your American General Life representative for assistance. Issue Age is Calculated as Age Nearest Birthday. Select-a-Term premium rates are current as of February 18th, 2019. Rates may vary by state. Select-a-Term Policy Form Number 16901N Rev0518 or 16900N Rev0518. The underwriting risks, financial and contractual obligations, and support functions associated with the products issued by United States Life are its responsibility. Guarantees are subject to the claims-paying ability of the issuing insurance company. United States Life is authorized to conduct an insurance business in the state of New York. Not all Policies and Riders are available in New York. American General Life Companies, www.americangeneral.com, is the marketing name for a group of affiliated domestic life insurers, including American General Life Insurance Company and The United States Life Insurance Company in the City of New York. © 2015 AIG. All rights reserved.